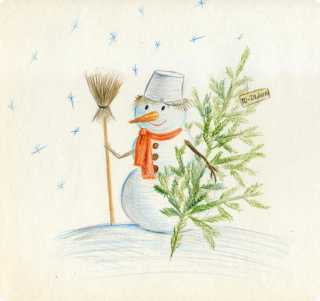 How to draw a snowman with Christmas tree pencil step by step? 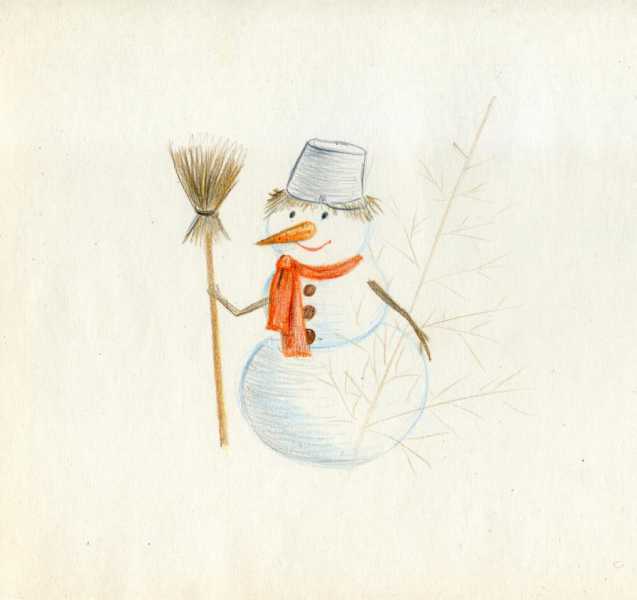 Draw a snowman with a pencils it is very simple. Just a few simple steps. 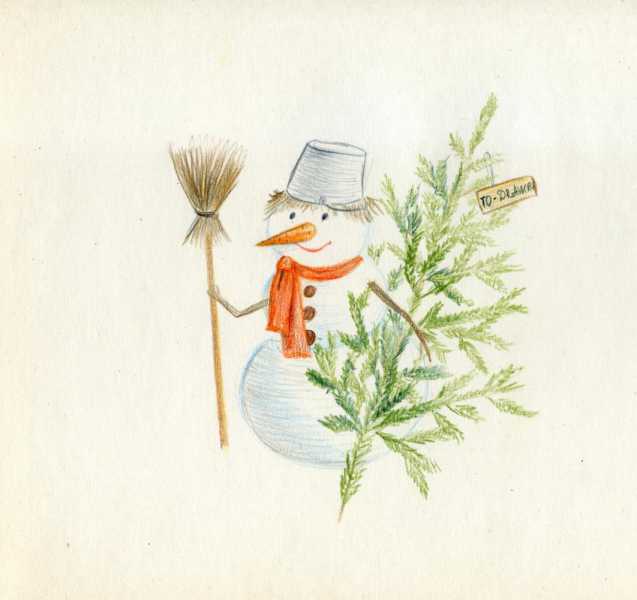 On the eve of new year holidays, You may benefit from a picture of a snowman and other winter and Christmas characters - you can draw cards to friends and acquaintances, you can decorate with pictures of the house and just draw for the mood! So, initially do a light sketch of our snowman. In one hand he will give the panicle. 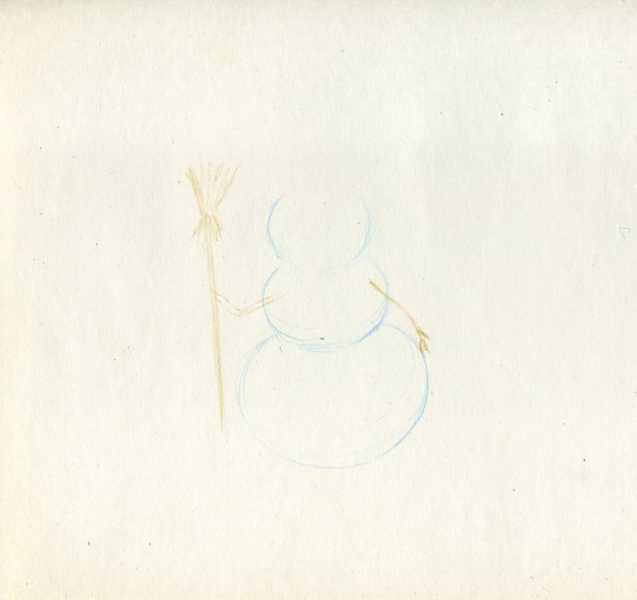 Draw a light sketch of the snowman. Then we will doricum the panicle. To do this, use shades of brown and ochre. Straw sticking out from under the bucket, too, draw these same colors. The nose is a carrot draw orange, and spots on her - dark-brown and gray. The next step we draw the snowman scarf, buttons and add blue-gray shade. Then make a sketch of Christmas trees. Drawing the scarf, buttons and added a shadow. Begin to draw the tree. In the last lesson we have already discussed how this is done step by step. 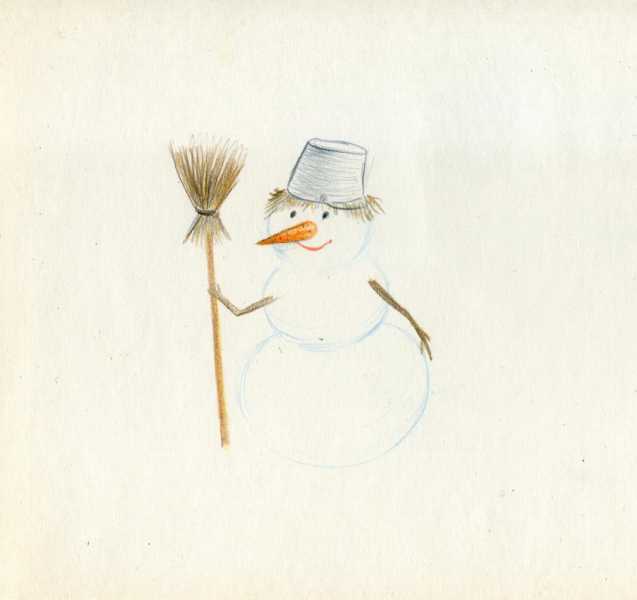 Well, in the last step we will put our snowman on a snowy hill. And, of course, draw the flying snowflakes for the mood! Well, at the last stage looking all whether we are satisfied with the picture and make the necessary additions. We have, for example, not enough shade on the face of the snowman. Add it. And our drawing is ready!